This is what a hero looks like, in an era when others shirk their duties and fail to respond. 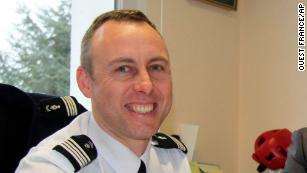 Lt. Col. Arnaud Beltrame, here in 2013, was hailed as a hero by authorities. Lt-Col Arnaud Beltrame, 44, was shot and stabbed after he traded places with one of the captives following a shooting spree in southern France. Col Beltrame was a highly-regarded member of the Gendarmerie Nationale and was described by France's president on Saturday as someone who "fought until the end and never gave up". He graduated in 1999 from France's leading military academy in Saint Cyr and in 2003 became one of just a handful of candidates chosen to join the gendarmerie's elite security response group GSIGN. He was deployed to Iraq in 2005 and was later awarded the Cross for Military Valour for his peacekeeping work. On his return to France, Col Beltrame joined the country's Republican Guard and was tasked with protecting the presidential palace. In 2017, he was named deputy chief of the Gendarmerie Nationale in the French region of Aude, home to the medieval town of Carcassonne, where Lakdim began his deadly shooting spree on Friday. As recently as December, Col Beltrame took part in a simulated terror attack on a local supermarket in the region. His actions helped bring an end to the siege that left three people dead. 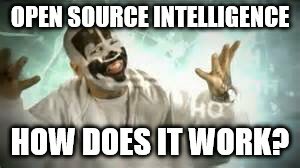 The radical Islamist gunman, 25-year-old [redacted as human feces unworthy of having a name], was eventually shot and killed by police. Sixteen people were injured, two seriously, in what Mr Macron called an act of "Islamist terrorism". [redacted as human feces unworthy of having a name]was said to have demanded the release of [redacted as human feces unworthy of having a name], the most important surviving suspect in the 13 November 2015 attacks in Paris, which killed 130 people. The attacker, [redacted as human feces unworthy of having a name], 26, a Moroccan-born French national, was a petty criminal already on the radar of French police for his links to radical Salafist networks, authorities said. When he burst into the supermarket Friday, he shouted he was a soldier from ISIS, witnesses said, before opening fire and killing a worker and a customer. He was shot dead by police on the scene. The 44-year-old officer died in hospital from his injuries after being shot three times by radical Islamist Redouane Lakdim in Trebes, southwest France. A mass was held, paying tribute to the victims of the attack. It has emerged that hours before his death Lt Col Beltrame married his partner Marielle in a ceremony at a hospital in Carcassonne. According to reports, the couple had been planning a church wedding in June after they met during a tour of an abbey in France in 2016. Father Jean-Baptiste said the couple had spent some 30 hours preparing for their marriage ceremony.